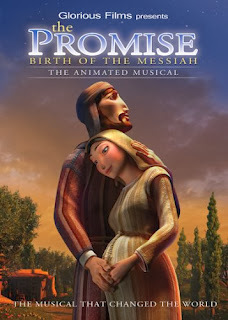 The Promise: Birth of the Messiah, The Animated Musical is exactly what it sounds like it is -- an animated musical. Using the Biblical narrative of Jesus' birth from the book of St. Luke, this DVD presents a fresh look at the birth of Christ. I was highly impressed with how much was included and how much it stayed true to the Biblical content. This is one Christmas DVD where you won't find talking animals or such because the true story is so amazing that you really don't need anything that didn't really happen. Something I really enjoyed about this DVD is the relationships. I never thought of the reaction of Mary's parents. While I had thought about Joseph's reaction before, I never considered how Mary's parents feelings to their daughter being chosen by God for such a special role in history. Also, in the movie, Mary sings to Baby Jesus and calls him her King. I never considered if she explained to Him who He was or if it was totally revealed by God to Him that He was to be the Messiah. Overall, I think this is a very well done portrail of Christ's birth. While is says it is for children, I think anyone would enjoy this because of the quality and how closely it follows Scripture. It is a DVD I think families would enjoy year after year! "Disclosure of Material Connection: I received one or more of the products or services mentioned above for free in the hope that I would mention it on my blog. 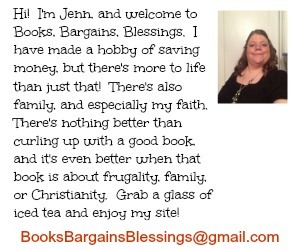 Regardless, I only recommend products with services I use personally and believe will be good for my readers. I am disclosing this in accordance with the Federal Trade Commissions 16 CFR, Part 255 "Guides Concerning the Use of Endorsements and Testimonials in Advertising"
The star in tne night sky. Luke 2:18-19 …18 And all who heard it wondered at the things which were told them by the shepherds. 19 But Mary treasured all these things, pondering them in her heart.